I want to be able to snap control handles to any object or to the grid. It would be great, if those control handles act the same as every other object when it comes to snapping. 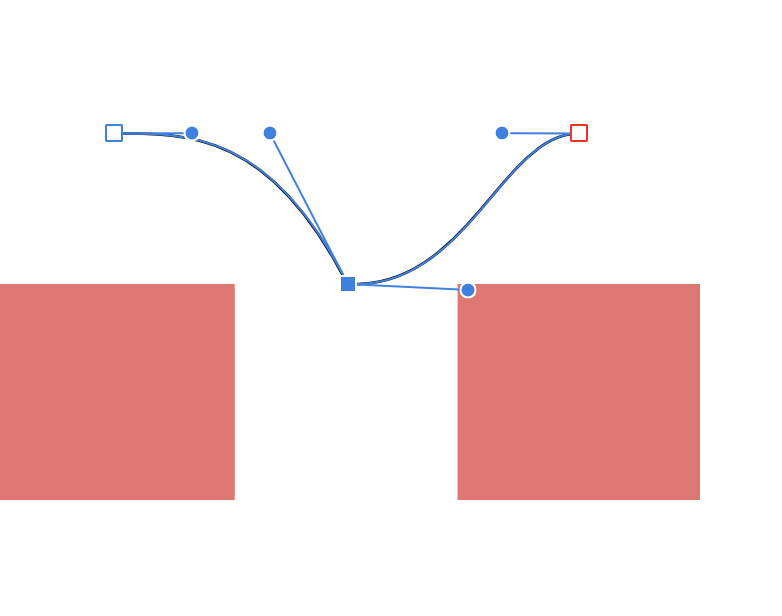 That way, I could draw very precise curves, because I can simply lay out helping objects to define spaces and specific angles to snap to with the frontal handles of a node. It would be nice if that blue control handle of the selected node would snap to the red rectangle. Seconded, especially snapping to grids, guidelines and guideline intersections. This is a CRITICAL feature for me (currently evaluating Designer). +1 for this (Affinity Designer). We need a way to meticulously position control handles. If this is difficult to be achieved, typing in x, y coordinates of control handles would work for me too.